Starting from the Emirates gate at Washington Dulles (IAD) the experience of flying Emirates Airlines once again was thrilling. They have more than adequate staff making an attempt to answer passengers questions and assist travelers with kids and those needing assistance. The flight takes off at 10.55 a.m a odd time but also convenient since Dulles airport (IAD) is not too busy at this time and the flight reaches Dubai at a very convenient time of 8.30 a.m in the morning. The flight is a 13 hour flight from Washington DC to Dubai. The aircraft is a Boeing 777 ER and economy is configured 3-4-3 seating. 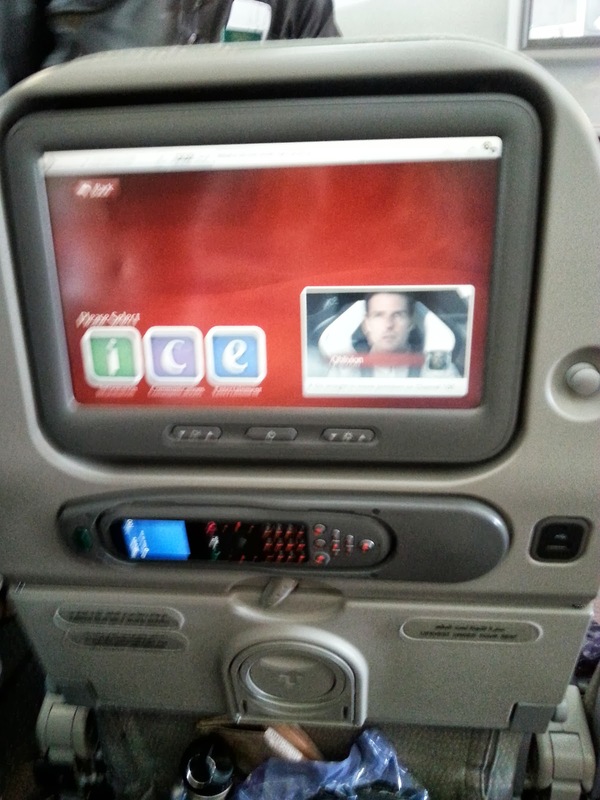 All the seats have a in-flight entertainment console. Soon after take off kids get a special bag of goodies which includes amenities like their own toothpaste and coloring book. 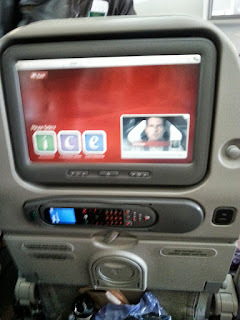 The ICE (Inflight Entertainment System) has a great choice of games and programs for kids. 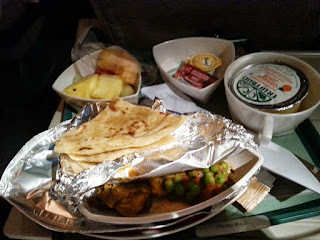 The in-flight crew made the travel seem like you were in a hotel/ resort rather than on a plane. All passengers get a amenity kit consisting of a Tooth brush, toothpaste, travel eye mask, a small towel.napkin in a keepsake pouch that you can use for any music player. The choice of entertainment is good and I managed to watch 3 movies while sleeping the rest of the time. You can also use the console to send email or SMS for a small fee but I did not use this feature. The remote also serves a game console. The location map and the front and rear cameras were a nice touch. I loved watching the front camera during landing and take-off. If there is another reason you need to fly Emirates, it is the food which was excellent. Just to give you an idea of the great attitude of the crew, if you ask for water , they give you the water and ask if you need anything else. I carried a steel water bottle with me so I was a regular visitor to the galley to get it filled up and that kept me hydrated throughout the flight. Since beer cans can get disturbed on the flight when the crew hands you the can they open the can just a little bit so the excess carbonation escapes. Comfort: The economy seats are standard with leg space similar to most airlines. I was in 19K and since I had not passenger beside me I was able to remove the arm rest and get a little extra space. On forums other passengers have reported that the seats at the back of the plane that are configured 2-3-3 have some extra space. I had to use my shoes as a foot rest as when tilting back your legs kind of dangle from the floor. Others have suggested taking a beach ball or using your handbag as afoot rest. < It was nice to see plug points on every economy seat had compatible with both US and Asian plugs.Battery charging your phone for the win ;). 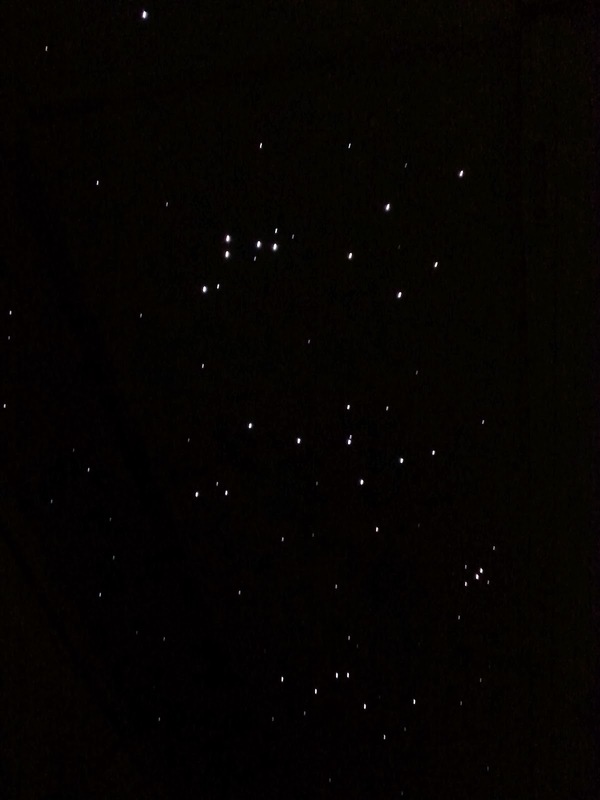 The Emirates touch showed when the lights were switched off and the roof of the cabin resembled a starlit night. The only improvement I would ask for on this flight is for the pillow covers to be of softer material. 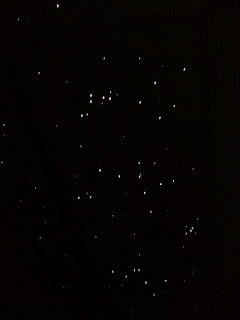 The disposable paper pillow covers are not soft on the skin. This is not just a Emirates issue but on other airlines as well. I wish the material was softer. 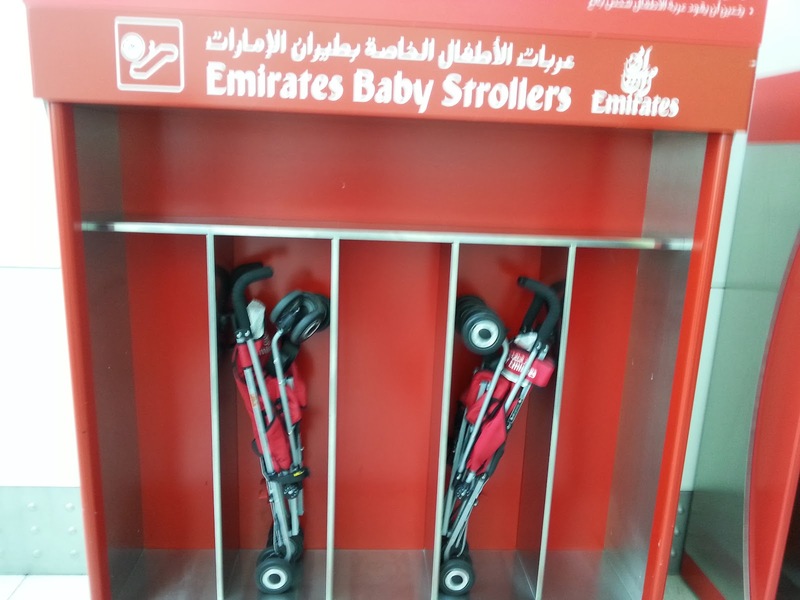 Dubai airport Terminal 3 was a great delight and I love the fact that they keep strollers ready plane side for passengers with kids who can use them in the airport and return them. 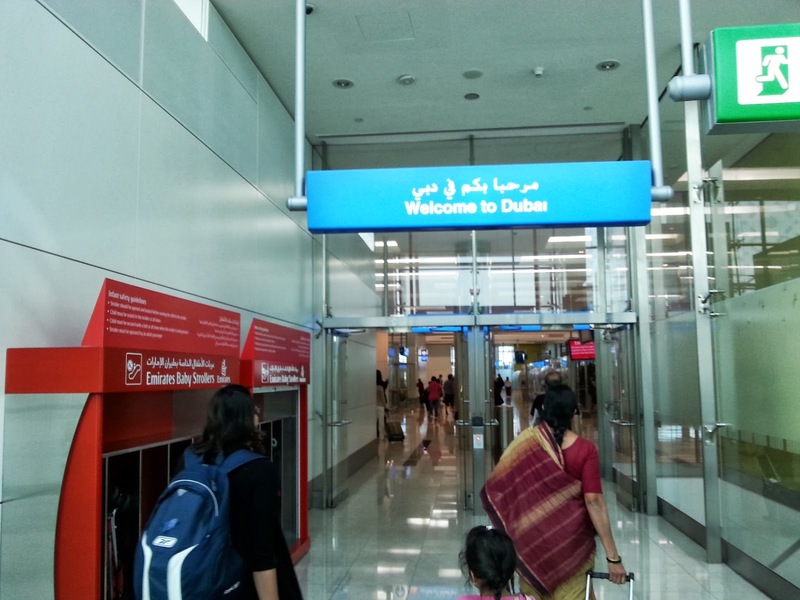 Once reaching Dubai many passengers head to their transfer gates for the next flight. My next flight was in 7.5 hours. 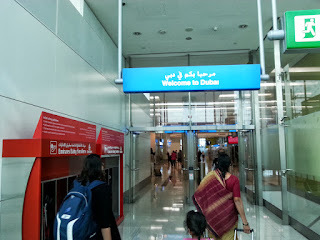 If I was flying Emirates Business or First Class passengers with a stopover of over 6 hours get a special Dubai Connect- Emirates will provide accommodation, meals, ground transportation and visa costs. I took the time to visit the city with a friend and get a picture taken at the Burj Khalifa and spent 7 delightful stopover hours in Dubai.I am looking forward to the return trip back to Washington DC from Hyderabad on Emirates. My first flight on Emirates airlines was in 2003 flying United to London and then on to Dubai and Hyderabad on Emirates. The difference was astounding in service, comfort and care. Washington DC (iad) is now a strong hub for flights to the Middle East. Qatar Airways, Etihad Airways, Emirates, United all fly to Doha, Abu Dhabi and Dubai. United flies to Dubai, Kuwait and Bahrain. Saudis has a flight to Jeddah but no one flies via Jeddah to Asia. Emirates EK 232 flies out of Washington Dulles in the morning at 10:55 am unlike other airlines that start in the evening. I think this is a bold move. Very convenient for business travelers to start the day in Dubai. Hyderabad arrival is at 830 pm instead of the usual 2 or 3 in the morning. 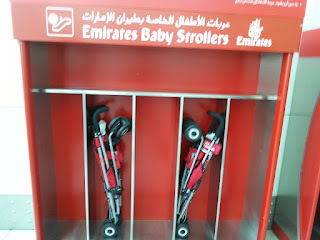 Emirates takes special care of kids. We still have the Dr.Seuss books my daughter got in 2003. My son got another book this trip and he is thrilled. 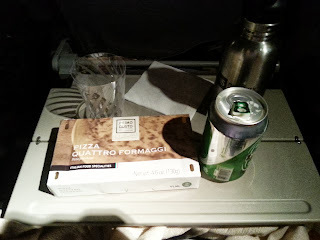 Food is usually great and it's a very comfortable flight. Emirates gives you a kit for king fights that includes a toothbrush and other necessities which many airlines have stopped doing. I am looking forward my trip on Emirates soon. Travel to Asia was usually through a transfer in Europe but now the Middle East is a strong and convenient transfer point. Dubai also has a airport hotel within the v terminal building which is very convenient if you are traveling with kids and need a rest.